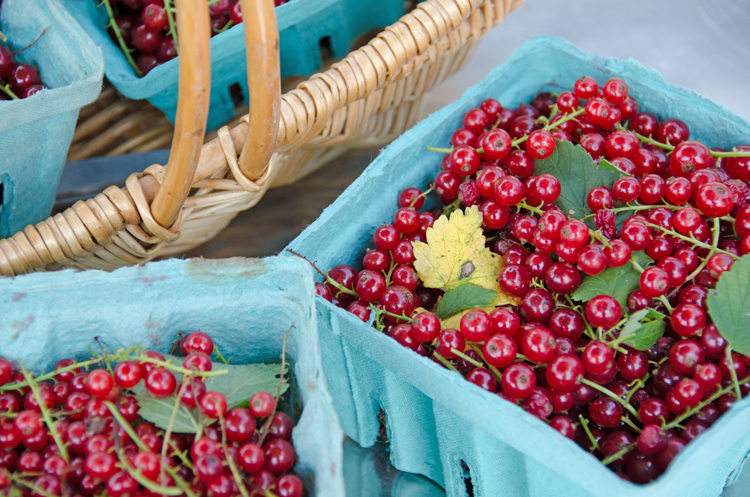 July 23, 2015 – In some years the red currant bushes in my garden yield so little that I literally count out the berries: a handful for Rote Grütze (Red Berry Pudding) and, if I get lucky, slightly more than a pound for my grandmother’s Red Currant Meringue Pie (both recipes are in my book). This year the red currants were bountiful. I splurged. 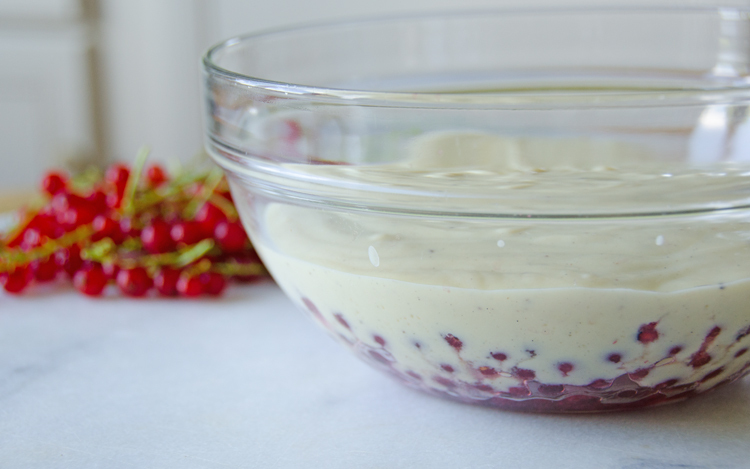 Besides Rote Grütze, red currants with vanilla custard are hands down my favorite German summer dessert. There is nothing like the taste of the tart berries bursting in your mouth, tempered by the smooth vanilla custard. 1. Put the currants in a glass bowl with a wide bottom. Sprinkle with the sugar and stir gently. Set aside. 2. For the custard stir the egg yolks with the sugar and cornstarch in a small bowl until smooth. Bring the milk with the vanilla to a boil in a small saucepan. Remove the pan from the heat and quickly whisk in in the egg mixture. Return to the heat and simmer over low heat until the custard thickens, whisking constantly. Remove from the heat and place the pan in a bowl with ice water. Whisk until the custard has cooled to lukewarm. 3. 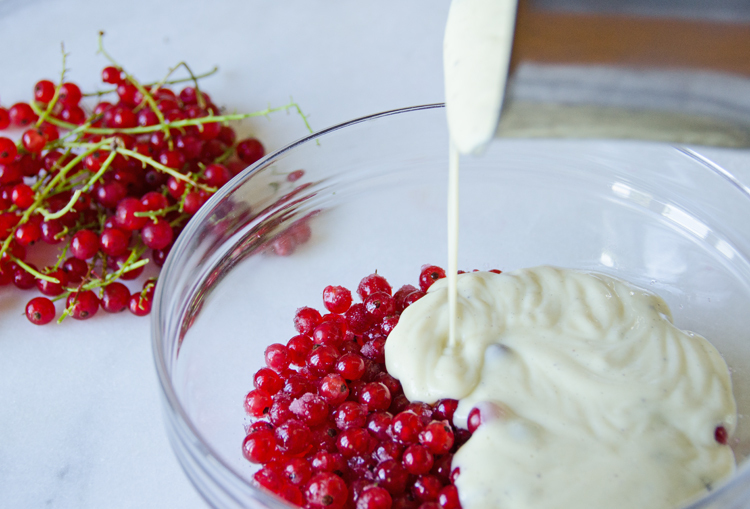 Gently pour the custard over the currants. Cover with cling wrap and refrigerate for at least two hours, until thoroughly chilled.